Add retro style and safety to your modern Ford Mustang with our Sequential Tail Light Kit. This splice in Sequential Tail Light Kit comes with everything you will need to completely install onto your 2005-09 Mustang. Add retro style and safety to your modern Ford Mustang with our Sequential Tail Light Kit for 2005 through 2009. 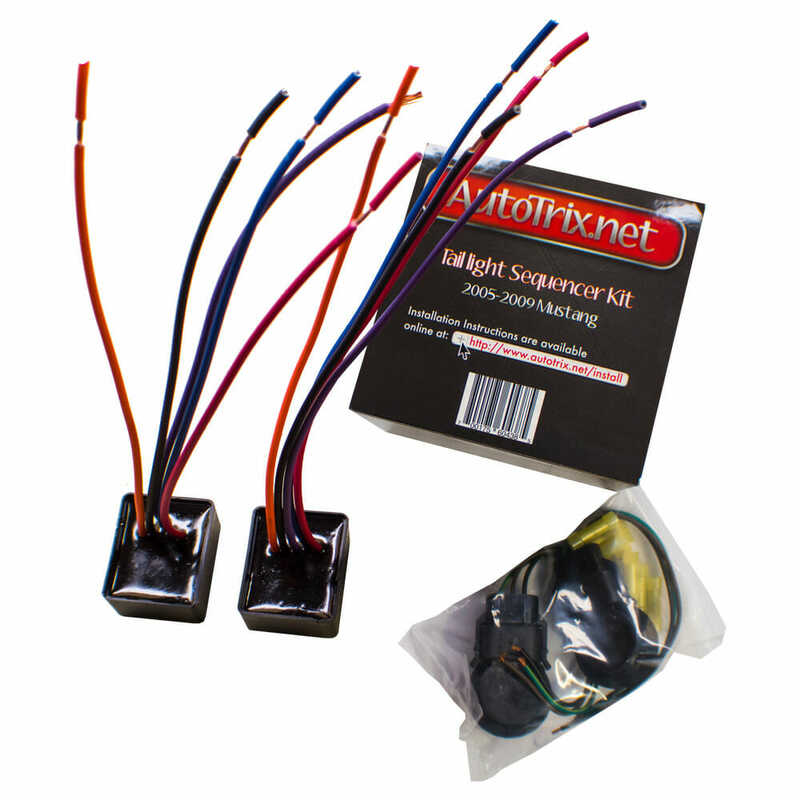 The Autotrix Sequential Tail Light Kit for Ford Mustangs will only take around a total of 30 minutes to install. 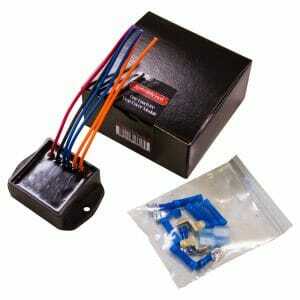 The Mustang tail light sequencer kit comes with two modules; one kit is all that you need. Autotrix designed and manufactures these Sequential Tail Light Kits in the United States of America. We also test each of these sequencer modules before final packaging to ensure a quality product upon arrival. Printable online step-by-step install instructions.